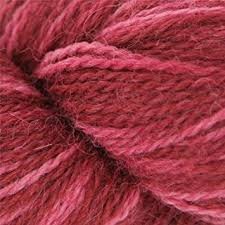 Alpaca Sox is spun from a blend of fibers designed to make a comfortable, warm fabric. Alpaca provides warmth and softness, merino adds elasticity and cushion, and a little nylon lends durability. Alpaca Sox has a unique 2-ply construction: twisted just enough to be durable, but relaxed enough that the alpaca fibers can expand a little and show their halo. The yarn feels lofty and light and is as lovely in shawls, scarves and baby sweaters as it is in socks. Alpaca Sox - #1828 Char. Mel.